Sknife ltd. was founded in 2014. 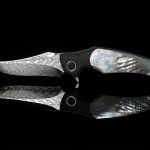 The sknife steak knife made of novel surgical steel has a four times higher corrosion resistance and a high hardness of 58 HRC. The knives as well as the steak forks are forged in Emmental and manufactured entirely by hand in the sknife knife manufactory in Biel. 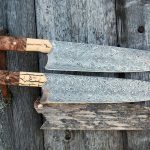 Craftmanship have always been a part of his life and he have been making chef knives and kitchen wares for 35 years with his chef friends as a big inspiration. 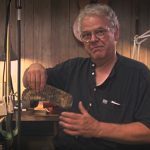 A full-time custom knives maker and former jeweller with over 17-years of experience. 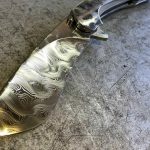 Lee is a 28 years old knife maker based in the costal area of Israel where he make stock removal folding knives using manual machining, grinding and hand finishing.